I’m sure a lot of you are familiar with this..and if you don’t do this before bed, then I’m really jealous. So what can we do to quiet our brains down before bed? Here are some bed-time rituals one could try..
Do the following yoga poses in your bed listed below! You guys knew this was coming – it is a yoga blog after all 😉 I have listed a few yoga poses below that you can do to help your mind and body just relax. Dim your bedroom lights, lie on your comfortable bed, relax, try some of these stretches out and notice how your body and MIND feel! 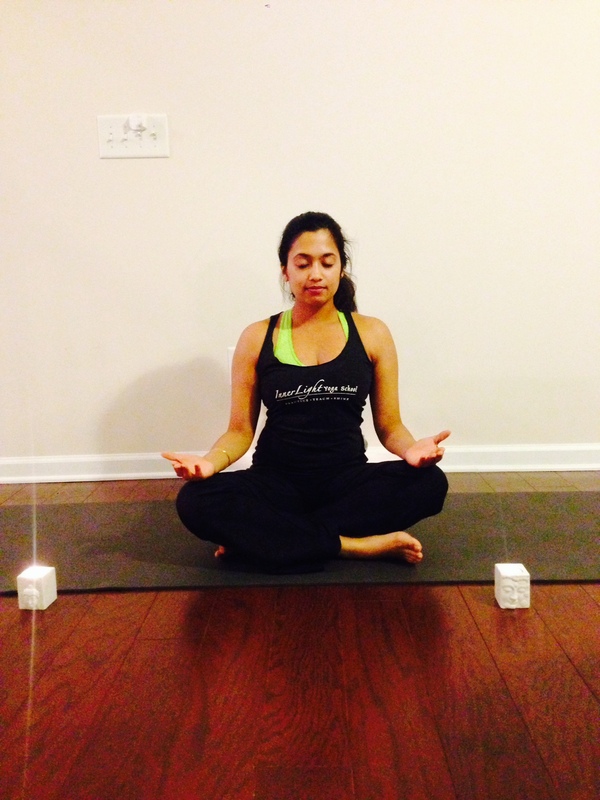 Sukhasana – Easy Seat – Closing your eyes and doing a silent meditation for a few breaths. Maybe think of something that you’re grateful for and just breathe here for a couple of minutes. 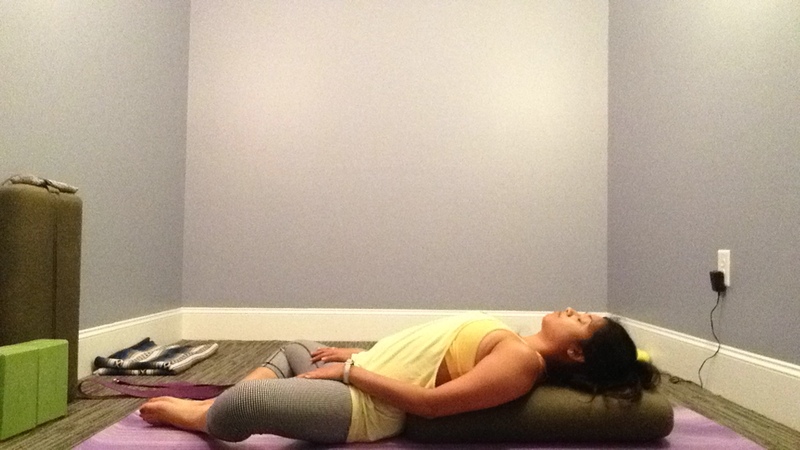 Apanasana – Hugging knees to chest – Roll side to side and relax your low back, your spine and kidneys. This feels so yummy for your low back! 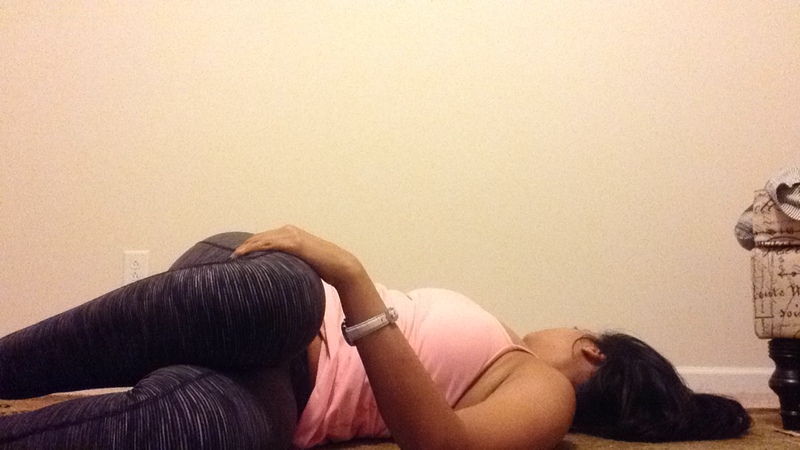 Ardha Ananda Balasana – Half Happy Baby – I love this pose for easing tension in my quads and hips! You know anything with the word Baby in it is going to feel great. 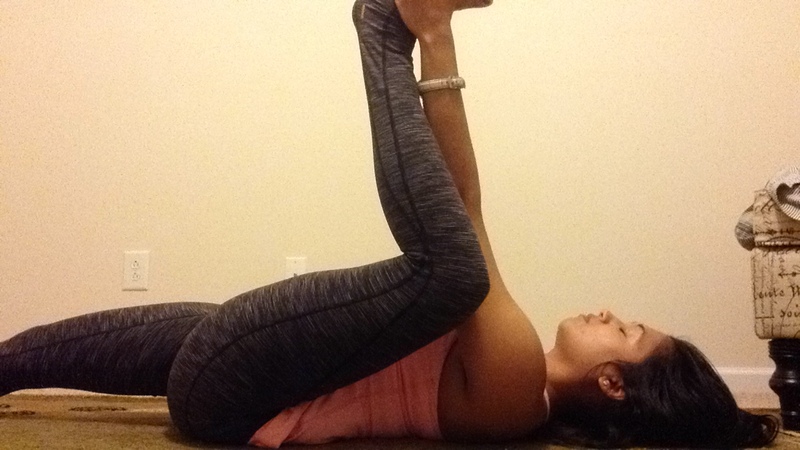 Extend one leg, bend the other and hold the outside of the foot as you gently flex your foot into your hands as you push your hand into your foot creating mild resistance. Finally, just rest. Lie flat and get comfy. Think good thoughts as you lie there and just breathe easy. With each exhale, think about releasing tension from all parts of your body and hopefully, you eventually drift into relaxing slumber. It’s been a really rough few weeks for me work and life-wise and I hope I use my own advice. Let me know it goes for you!